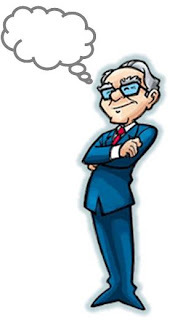 I would like to share with you a few quotes from Warren Buffett that I have just read. I may not buy the same stocks as he does, but I really admire the thoughts of this guy. You can read more from the "Investment School" website here. My favorite is not there: "Be greedy when others are fearful, and be fearful when others are greedy!" or something like that..
That's #10. Cheapco, are you in Toronto?